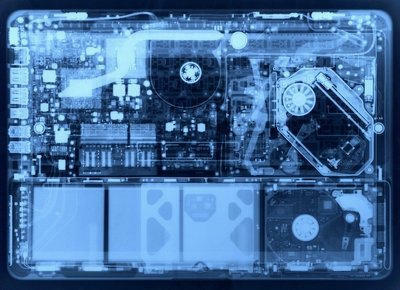 If you’ve ever wondered what your MacBook looks like through an X-ray, here it is, courtesy Jason. Looks pretty amazing. Whoa!? I’m so happy to see a link from the cultofmac.com. This made my day. Wow, very cool. What’s the possibilty of seeing the same shot of the MBP? What is that pipe like thing going from CPU to VC? just out of interest…heatsink or something else?